5pb. confirms platforms and release window. 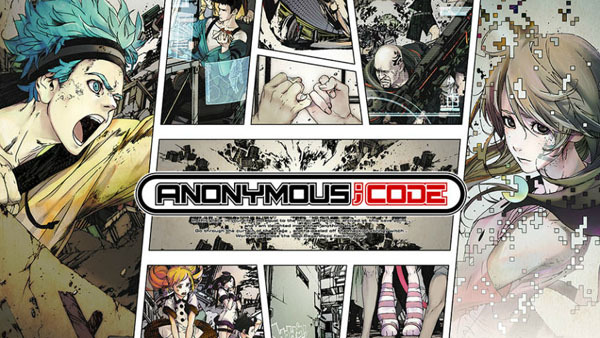 Anonymous;Code, the next sci-fi adventure game (visual novel) from Steins;Gate and Chaos;Child developer Chiyomaru Studio, will launch for PlayStation 4 nad PS Vita this winter, publisher 5pb. announced. It will cost 7,800 yen at retail and 7,000 yen via download. Set in 2037, Anonymous;Code revolves around an “Earth Simulator” created by the supercomputer “Gaia.” After humanity successfully recreates humanity on “another Earth” generated within the computer, the computer-made humanity soon created its own Earth Simulator, leading humanity to question its own existence.